As we celebrate the NHS’ 70th birthday, we have an opportunity to applaud the medical advances we have made and how they are enabling patients to access pioneering technologies as part of their routine care. Technologies as diverse as diagnostic ultrasound, hip replacements and CT scanners through to the marvels of IVF fertility treatment, which have all been pioneered in individual NHS hospitals and have now turned into day-to-day diagnostics and treatments delivered across the service on a routine basis. I believe the NHS stands at the forefront of probably the greatest revolution in healthcare this century – the mainstream use of cutting edge genomic technologies for quicker, more precise diagnosis of conditions; an opportunity for personalisation of treatment. The NHS first embraced genetics through specialist laboratory teams in the 1960s, and from this autumn onwards, the NHS will become the first health system in the world to offer whole genome sequencing systematically to patients where it is clinically appropriate to do so. To give patients access to tests that can diagnose their disease, or help inform their treatments, the NHS requires a genomic laboratory infrastructure capable of meeting growing demand for and efficient delivery of ‘state of the art’ testing at lower-cost than current practice. In response we are creating a national genomic testing network delivered through seven Genomic Laboratory Hubs, each working with local clinical staff, supported by a national informatics and data platform that is being developed in conjunction with Genomics England. Is appropriate for patients’ conditions, so that the right test is used at the right time; resulting in the best possible patient outcome. This applies to everything from simple single gene tests to confirm cystic fibrosis; sickle cell disease or Huntingdon’s disease; to panels able to analyse multiple genes and identify, for example, genetic mutations that may increase an individual’s likelihood of developing cancer. By analysing the 3 billion letters in an individual’s genome and combining this with clinical information, we will provide many more families with a diagnosis of complex rare diseases, years faster than we can today. Supports clinical decisions, so that genomic testing becomes a key part of the clinical assessment, and not just another test. 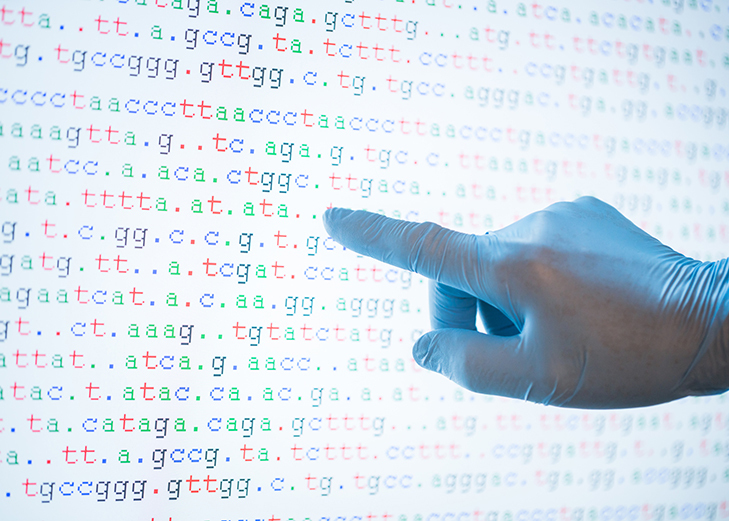 To do this we are introducing a National Genomic Test Directory, working closely with Genomics England to bring together evidence about which tests available are the right for different patient management. Through the Test Directory, clinical teams across the country – from Berwick to Bodmin and from Morecambe to Margate – will be able to access information; supporting the ordering and utility of genomic testing across the NHS. Is as up to date as possible, so that for the diagnosis of any condition; management or treatment, the Test Directory and national genomic laboratory network reflects the current evidence and best practice. We will work closely with Genomics England to annually review the latest evidence, update and upgrade both testing approaches to ensure they remain cutting edge including in their detection of genomic mutations. Becomes part of the day to day NHS, so that genomic technologies can be part of a whole care pathway. Eventually patients will quickly find out if they have cancer, monitor cancer or learn how they might react to certain drugs through only a simple blood sample. Constantly improves, so that testing is aligned with the whole of the NHS’ research efforts and delivers more accurate diagnosis. This will mean that we are working with industry to drive the discovery of new drugs and that the most appropriate clinical trials are identified for patients to join; further adding to the UK genomic knowledge base. The best of healthcare should be available to all no matter where they live, based on need and not their ability to pay. As the NHS looks forward to its next 70 years, I’m very proud that these values are still hold and are being delivered using cutting edge technology. Through the consistent application of appropriate genomic testing we will help ensure the NHS is able to deliver the benefits of a more personalised medicine approach set out by NHS England in 2016 – better prediction and prevention, allowing ill-health to be identified and tackled earlier; a more precise diagnosis, more targeted and personalised interventions; improving treatment outcomes, minimising side effects and delivering enhanced value for the NHS. Professor Sue Hill OBE PhD DSC CBiol FRSB Hon FRCP Hon FRCPath is the Chief Scientific Officer for England – providing expert clinical scientific advice across the health system and head of profession for the healthcare science workforce in the NHS and associated bodies – embracing more than 50 separate scientific specialisms. 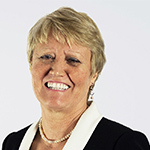 Sue is the Senior Responsible Officer for Genomics in NHS England, leading developments in this area, having previously established the NHS Genomic Medicine Centres and led the NHS contribution to the 100,000 Genomes Project. She is a respiratory scientist by background with an international academic and clinical research reputation.